LFS Forum - To Windows 10, or not to Windows 10, that is the question. Live for Speed Forums / Off Topic To Windows 10, or not to Windows 10, that is the question. To Windows 10, or not to Windows 10, that is the question. Regarding Live For Speed compatibility as well as DX12, an oculus rift support is Windows 10 a supported platform for Live For Speed, even if that is in DX9 mode? I have the upgrade, I just haven't pulled the trigger. Scawen are you upgrading, considering that you have Windows 7 and it's a free upgrade? Upgrading today. Been running the TP for months on a VM, and haven't come across any things that bothered me, so let's do it. I've reserved the upgrade but I have no idea how to upgrade. Got any ideas? PM them to me. I don't really see a reason why you would need to upgrade from Windows 7 to Windows 10. Windows 8/8.1 users (incl. me) have a very good reason why they should upgrade to Windows 10. Last edited by Victor, Wed, 29 Jul 2015 12:37 . Reason : removed now irrelevant text. Installed Win10 at work - upgrade went flawlessly and all my programs were there and working afterwards. LFS also seems to work without any issues. Haven't tried any peripheral devices though. Anyone know if Windows 10 will break any older games? I know Windows 7 (especially 64-bit) can't run a lot of old games I'd still love to play (from late 90's early 00's) but will Windows 10 do the same? Just to a little bit newer games? Quote from fatalunfair : Anyone know if Windows 10 will break any older games? I know Windows 7 (especially 64-bit) can't run a lot of old games I'd still love to play (from late 90's early 00's) but will Windows 10 do the same? Just to a little bit newer games? According to GOG blog posts, the Win10 so far is doing them less headache, than W7 or W8 support, most of their W7/8 game installations work at W10 without changes (this information is only slightly above "rumour" level of course, no real facts/data available to me). I got the Windows 10 update prompt on my laptop (Windows 8.1 at the moment). Out of curiosity, I ran the installer, accepted the terms & conditions, clicked "Schedule it for later" on this dialog, thinking I'd be able to select any time to upgrade, but I could only select from 3 days in the future. Now the Windows update window wants to reboot to "begin the installation process", and I'm afraid I can't cancel it anymore. Is there a way to cancel the automatic upgrade at this point? Last edited by Flame CZE, Thu, 30 Jul 2015 14:48 . I upgraded to windows 10, LFS is working absolutely amazing on it. No problems over here, even picked up 3 extra frames. ".. you can cancel it. 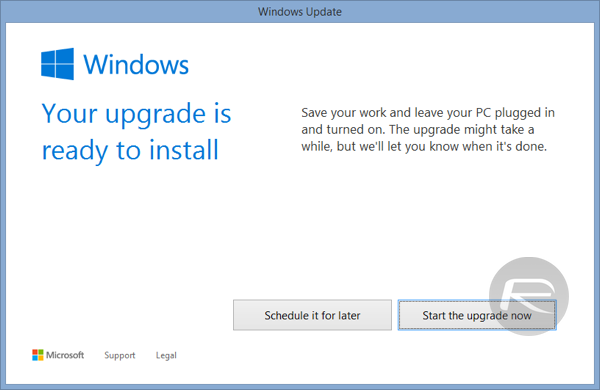 Right-click the Windows icon on the taskbar and select "Check your upgrade status." Then click the menu at the upper left of the screen and choose "View confirmation." Click "Cancel reservation." That's all it takes." Highly impressed, I've been running various builds as an insider (virtually), 1 of 5.5 million !, so I decided just to clean download a consumer version (Pro) and install onto a blank hdd to see how it works as a new install. Needed to download nvidia drivers# as it didn't i.d. the video card, but that was the only issue. Soundblaster Audigy wasn't identified originally but sorting that was actually far easier than it was with 7. It picked up my old printer (Brother MFC laser) when that was turned on and installed all the drivers including scanner and fax, and set up the fax for me with no issues, something I've never bothered doing myself. I would certainly recommend Classic Shell beta 4.2.3 if you want to use 7's start menu but overall I'm actually impressed with the release. It's light years ahead of 8.1, seems like 7 after Vista TBH. # Been some issues apparently with Nvidia drivers and 10 so that may just be an issue with the version I've downloaded today. Disclaimer; my system is still on 7, my media centre is certainly staying on 7 for the foreseeable future, and this is just a clean install on a spare hd on my gaming box. And I'm still waiting to see what happens with the insider builds re licencing. Last edited by Racer X NZ, Thu, 30 Jul 2015 10:18 . If you want to try it on a partition or HD as a test, or run it for free to 3 months, here's a link to Enterprise download. 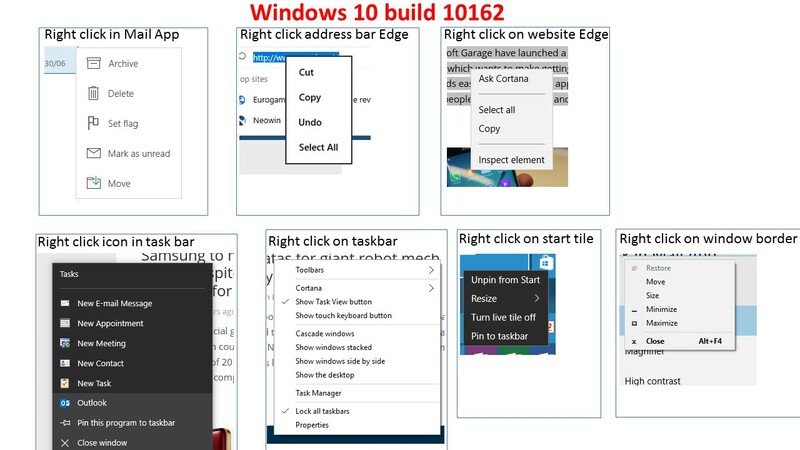 This article, http://www.computerworld.com/article/2954264/microsoft-windows/microsoft-delivers-windows-10-iso-files-free-eval-of-enterprise-edition.html , explains further but you don't seem able to licence the equivalent version of 10 with a valid 7 or 8.1 key that the article claims you can. And it looks like Insider builds will shut off on 1 Oct 2015. Then again, it may be a very deep joke ! "'Something Happened' is Joseph Heller's second novel (published in 1974, thirteen years after Catch-22). Its main character and narrator is Bob Slocum, a businessman who engages in a stream of consciousness narrative about his job, his family, his childhood, his sexual escapades, and his own psyche." And it may be a very, very deep joke, just read and think about this Rock, Paper, Shotgun article before you install 10, and do actually read the options when you install. Last edited by Racer X NZ, Fri, 31 Jul 2015 09:02 . LFS and my wheel work perfectly well in Win10, but the problem I've got is that Win10 doesn't recognize my DVD drive. I have Win XP installed on other drive and it works well there, BIOS sees it too, but Win10 just ignores it. I upgraded to 10 yesterday (without actually thinking much about it, because positive reviews) and i must say i am damn impressed. Apart from some (already solved) sound issues, everything runs so much faster, even on my 2007 PC, which was much slower even with clean Win7 installation. Design is nice, functions are so far so good (no Office included) and as a Windows Phone owner, i like how easy the sync is and with OneDrive being pre-installed, i can just get my phone files with few-ish clicks. I think this one might be really good. Am I really the only one who thinks that W10 is a horrible POS? Different font sizes every where, different dialog box styles, two different control panels featuring the same and different settings. No visual difference between title and menu bar which really does the trick with drag and dropping windows. Some Apps can't be uninstalled, some now come with adverts and some have a uninstall option which does nothing. Quote from three_jump : Am I really the only one who thinks that W10 is a horrible POS? You are right with the points you mentioned, but while W10 has been released now, the product is not finished by any means. Microsoft will keep working on it and most of the thing you mentioned are left overs from W8(.1) and will be transformed to the new W10 layout. So the banana principle is suddenly a good thing? Updated yesterday and i dont see any problems here but only Pro version is safe, another versions wont give u choice in updates or Microsoft invigilation which is... horrible in 10. I meant this all (https://imgur.com/iHge6RJ) is possible to turn off only in Pro versions. Privacy. Privacy . . . . . Privacy. You ain't got a lot with W10. Just sayin'. You're the kind of guy who remembers shops by whether or not they have a terrible kerning, aren't ya? Quote from elpopu : Help please? Still the same in release version too. Quote from Dygear : You're the kind of guy who remembers shops by whether or not they have a terrible kerning, aren't ya? It just looks very unfinished to me, and that they knew and didn't care enough to iron out the kinks first. Last edited by three_jump, Sun, 2 Aug 2015 07:15 .